Please give a warm welcome to Alex from Alex Nguyen Portraits who will be guest posting on Housing A Forest today. I am so exciting to have her sharing with us today, these little Clothespin Catapults are amazing! Alex is a fun loving mom who loves engaging her 2 boys and encouraging their curiosity. She is a highly talented photographer and her blog is full of beautiful images. Grab a cup of coffee and snuggle in, because I promise you will want spend some time there. Hi! 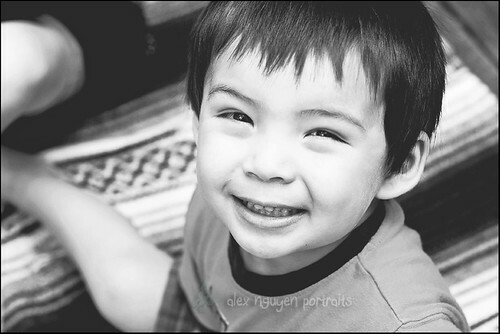 I’m Alex, from Alex Nguyen Portraits, and I’m honored to be guest blogging here at Housing a Forest. I love Tammy’s blog, and all the activities she posts and researches! Science has been a passion of mine since childhood, and it is something I thoroughly enjoy sharing with my children. My boys ask me why, why, WHY constantly about things all the live-long day. It’s incredibly fun for me to figure out a way to get them to answer the “why” themselves (usually through some sort of experiment). If your kids are anything like mine, one of their favorite games to play is Angry Birds. If you aren’t familiar with the game, birds are shot through a slingshot at pigs protected in houses. The setup sounds hokey, but the appeal is tremendous. The boys and I set up to build our own catapults with things we had around the house to see if we could create our own trajectory lobbing devices. which would go farther, heavier things or lighter things? does a longer catapult fling the object further? 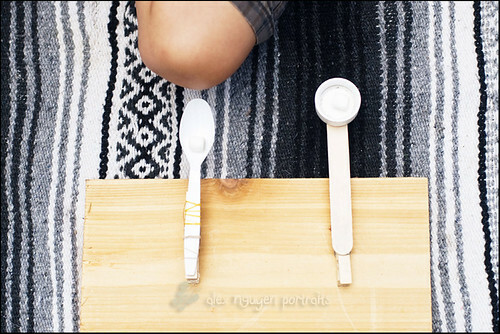 which catapult would work better, the spoon or the popsicle stick? 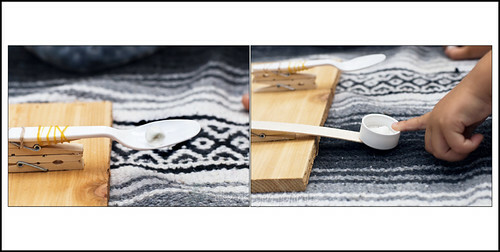 A top view of our two different catapult set-ups, one made with a craft stick and a bottle cap; the other made with just a spoon. For the left catapult, we glued two clothespins together, then glued them to the board. (you could use one clothespin, but we wanted more leverage). Then, we rubber banded a spoon onto the top clothespin. 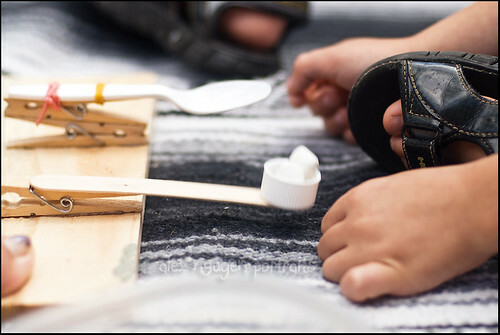 For the left catapult, we glued a bottle cap to the craft stick, then glued the stick halfway onto the clothespin. Since my preschooler was involved, I chose to use edible things to catapult, hence the marshmallows. For older kids, I would suggest using rocks, marbles, pennies, or anything else they can think of! They were super excited about launching the marshmallows! 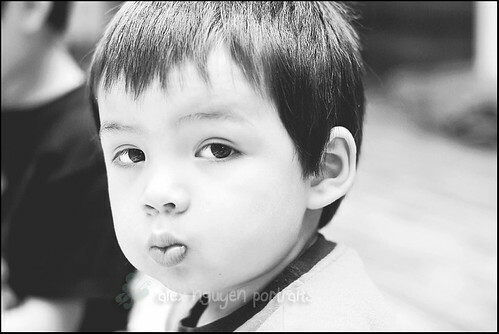 Just ah, don’t leave them alone or else you’ll end up with a preschooler who’ll look like this. And an empty container of projectiles. Overall, this was a pretty fun and successful project! They also correctly guessed that the spoon catapult would aim better, since it created more of an arc, and get “inside a pig’s house”. The popsicle stick catapult had more force, but didn’t go as far. I hope you enjoyed reading about our catapult science experiment, and go forth and built some of your own! Posted in Kid Projects, Recycle and tagged Guest Post, Kid Projects, Spring, Summer, Take joy in Fall. thanks so much for letting me guest post Tammy! 🙂 Hope you and your kids enjoy the catapults! Great experiment! We made some of these last year and tried launching items with different weights (the marshmallows were the biggest hit too), but I didn’t think to try different launchers. We will have to try this again soon. This should keep kids happily occupied for a while! Looks like so much fun. A great way to teach as well. 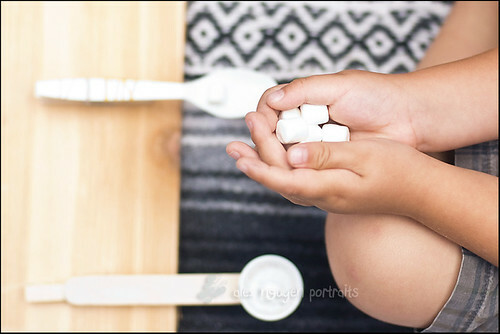 oh this looks like fun for the kids – I suspect I might tire of it after a very short time when I start finding blueberries and marshmallows all over the place! So true! Although could be a fun way to feed the birds 🙂 Our chicken love grapes, and I could see this being a HUGE hit outdoors. Oh a different kind of catapult for us to make… this will be our third kind! Love them!